about 13.5 inches of burlap ribbon 2.75 inches wide. 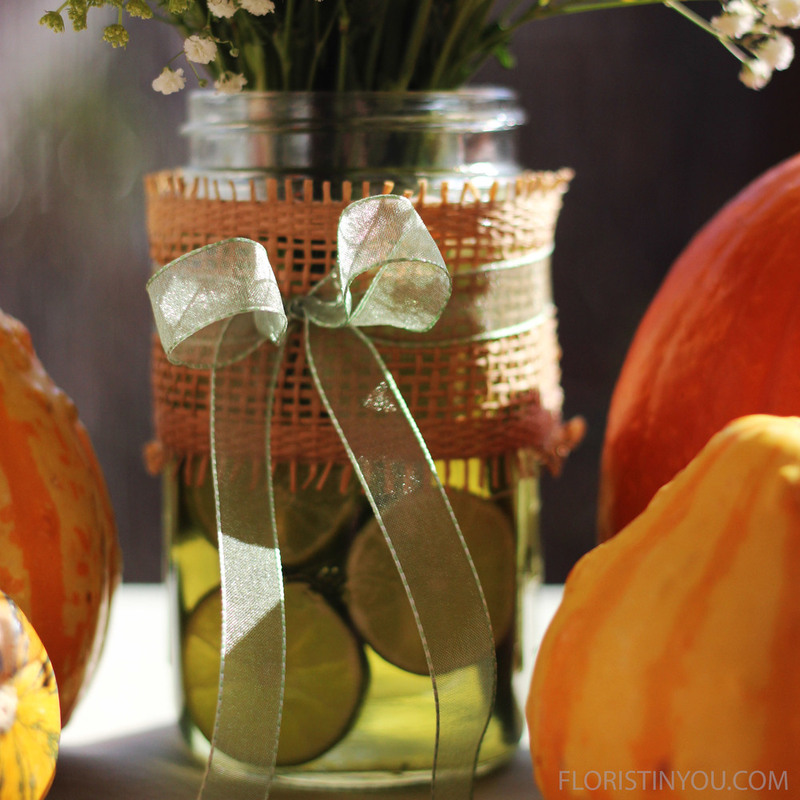 This is a fun arrangement for fall with its bright yellows and whites accented by the lime green slices around the inside of the "Mason jar". The burlap ribbon speaks of fall and the sheer green ribbon repeats the green in the limes. You will use the small cylinder to keep the water for the flowers separate from the acidic water that the limes are in. Your flowers will thank you for that. If you have a cat like mine, the cat won't like it, because he won't be able to get his head down into the water to take a drink. This is a bouquet that you will make holding in your hand. You will cut everything off at about 14.5 inches. When you are done you can add some decorative gourds and a pumpkin to make a table display. 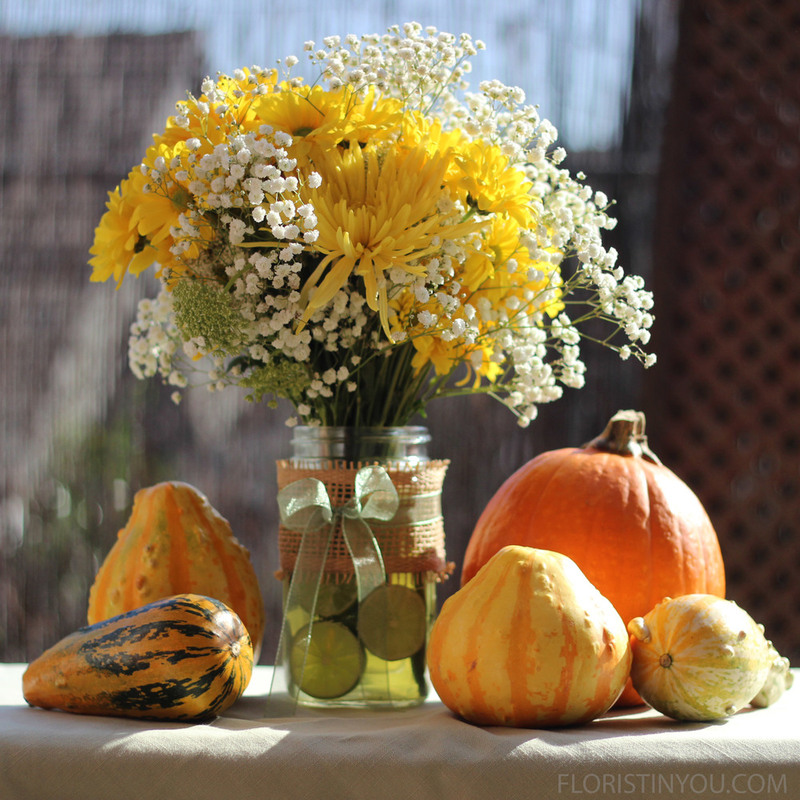 Are you ready to make a Fall still life. Here we go. Fill the small cylinder vase with water half way up. Now insert vase into the "Mason jar", like so. Cut 1/8 inch thick. Watch your fingers! 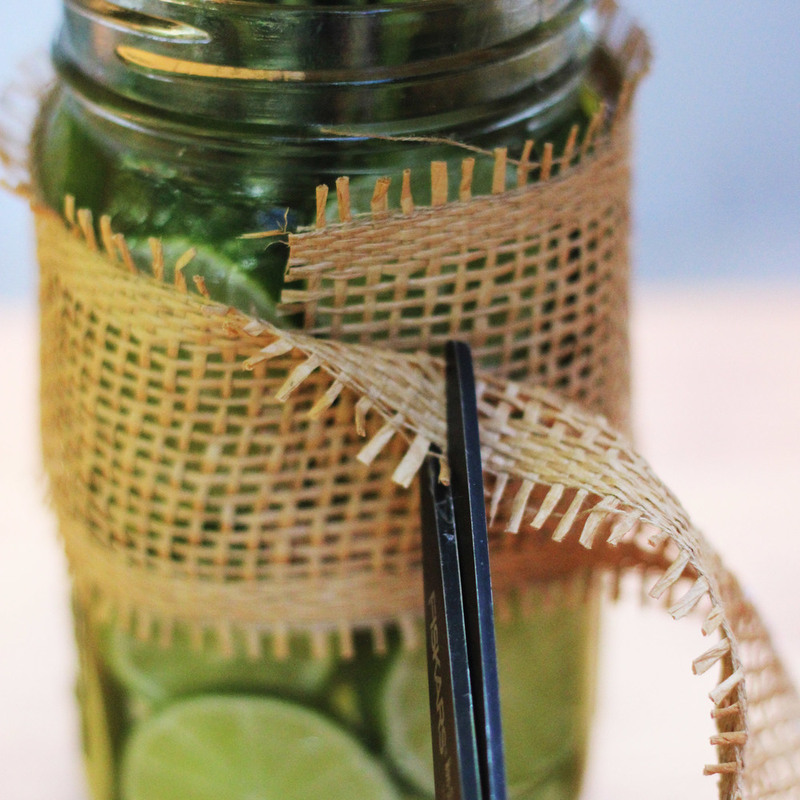 Push lime slices between cylinder and "Mason jar". Use table knife to help position. 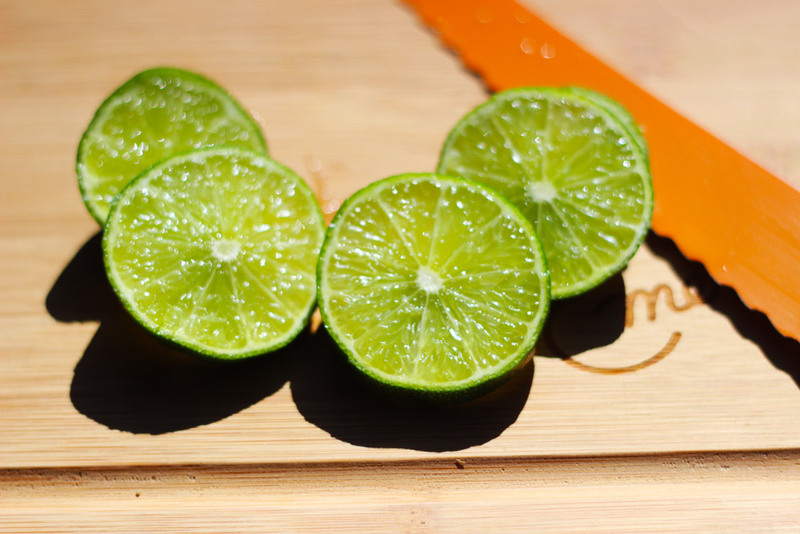 After you've filled the limes up to the top, carefully add water to keep the limes fresh. Pull 'hairy fringe' off Queen Anne Lace. Cut at 14.5 inches. Add to Baby's Breath. 1 front, 1 side, 1 in back. Layer in daisies. 1 Spider Mum front, 1 in back. Then hold bouquet in your hand to shape it. Pull off leaves to be below water level. Re-trim. Re-trim entire bouquet so it is even. 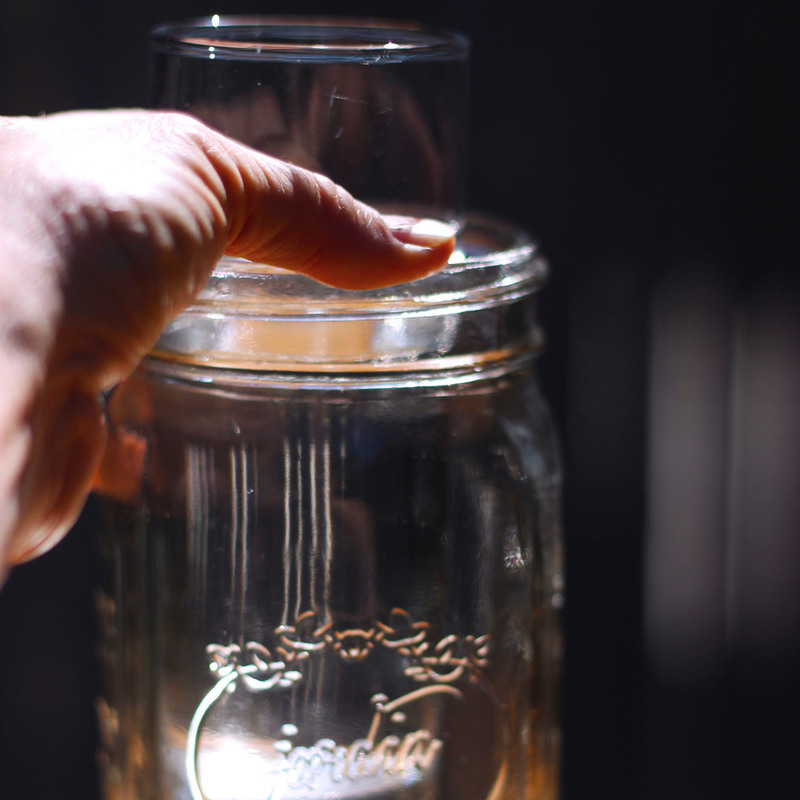 Hold ribbon tight around "Mason jar". Leave extra inch. Cut. Hot glue top & bottom of ribbon. Press other side to it. Now don't burn your FINGERS! Use a pencil. Tie the green ribbon with a bow in front around the jar.
" Guess I won't run off with these and roll around on them. I'm a good boy," he says. "Thwarted again. She put the flowers next to these nasty limes," rues Dobie. "I'm ticked! Maybe I should accidentally knock them over with my tail. Oops! Sorry!" Dobie is wistfully thinking. Add some decorative gourds and a pie pumpkin and it looks like Fall.